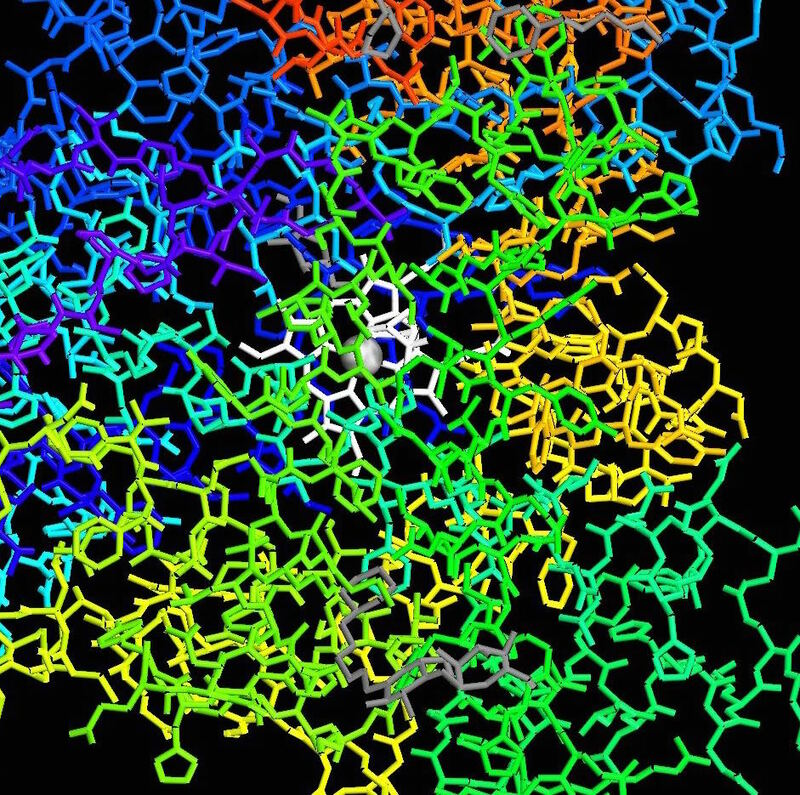 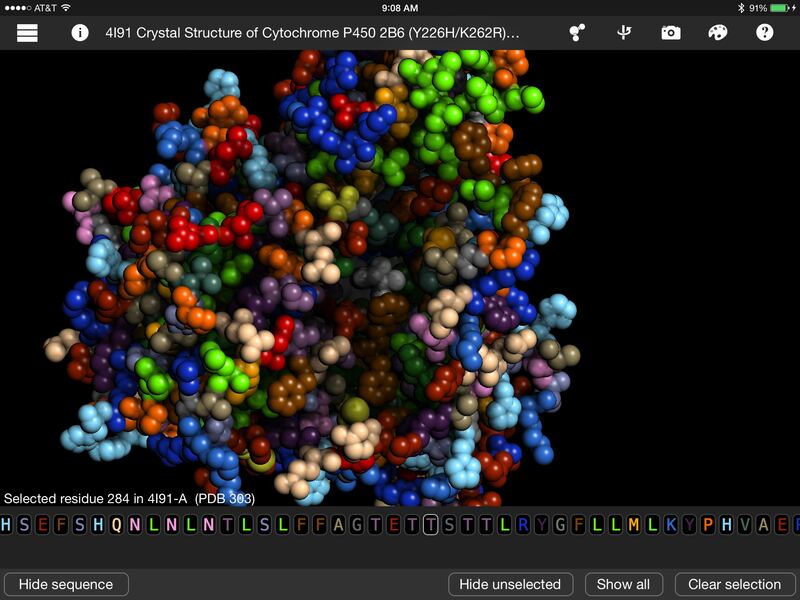 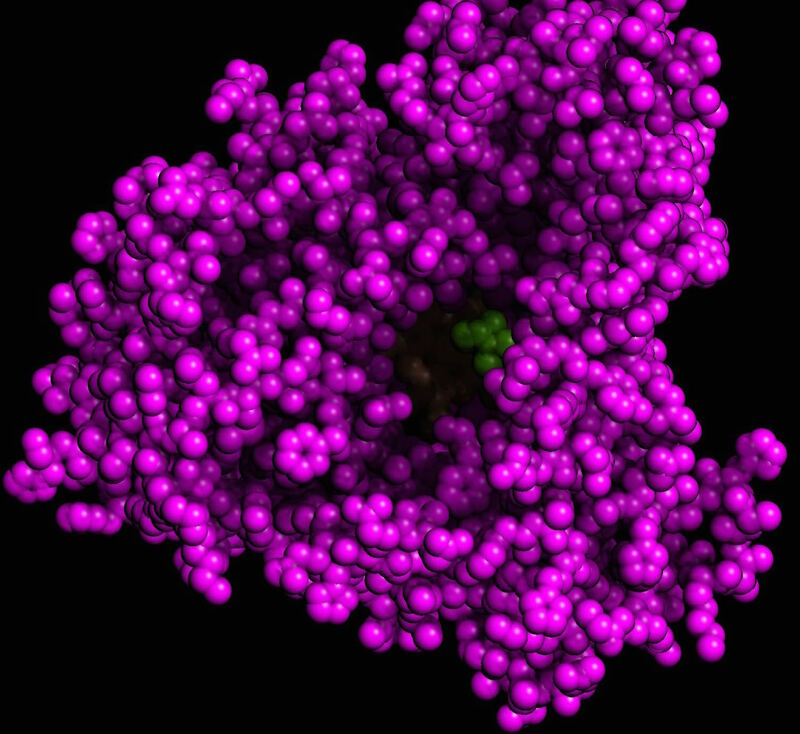 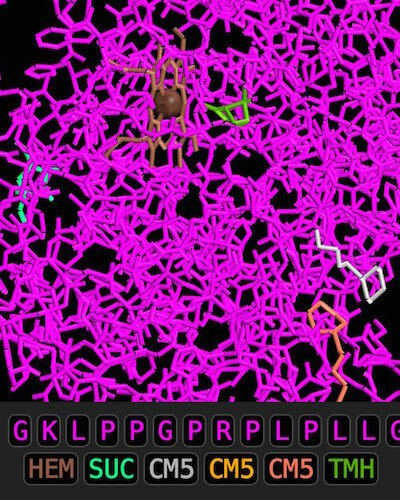 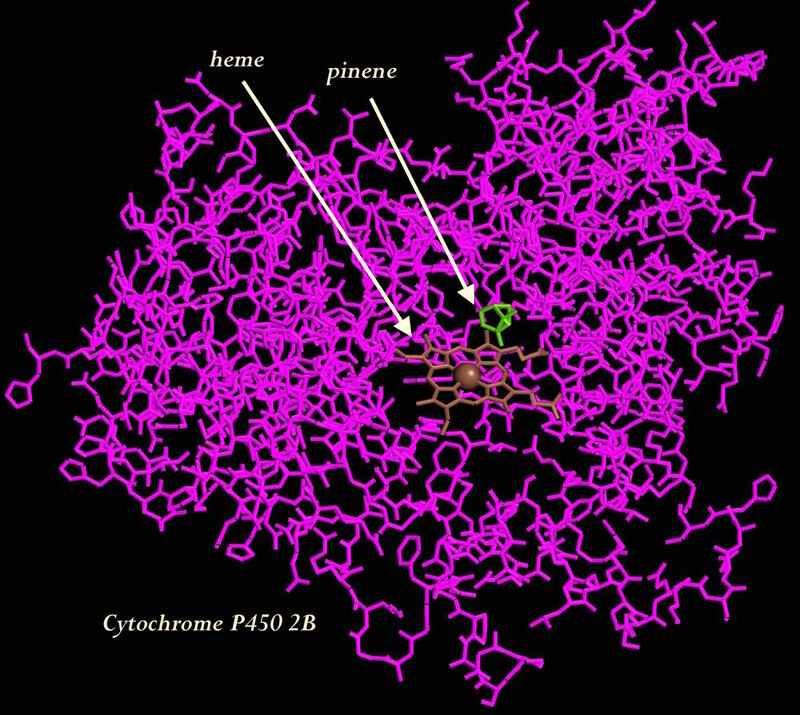 Cytochrome P450 2B shown with molecule coloring. 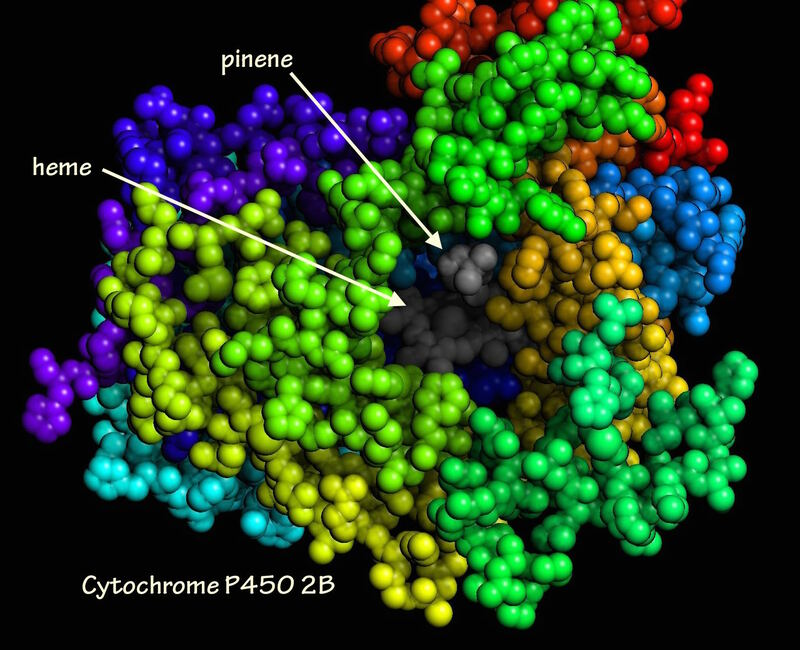 Cytochrome P450 2B shown with rainbow coloring. 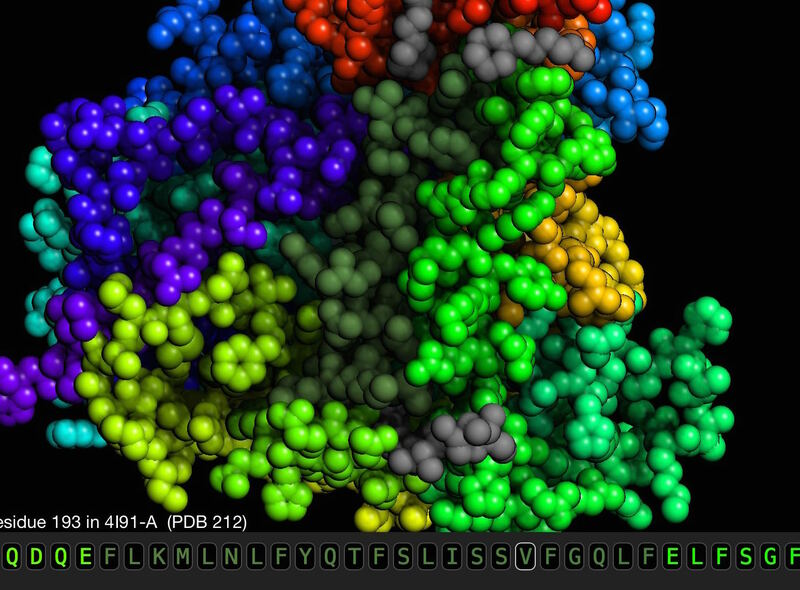 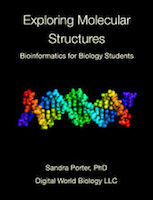 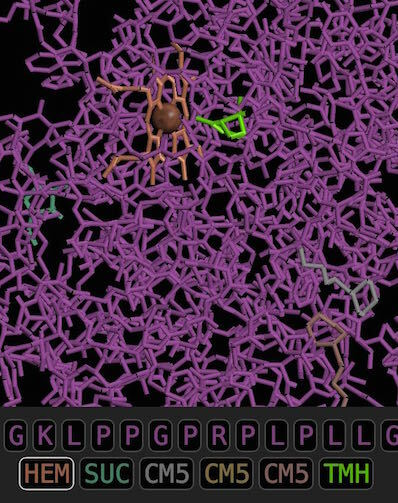 Some amino acids were hidden in order to expose the active site.